We offer PSA Oxygen Plants, PSA VPSA Oxygen Plants, Medical Oxygen Gas Plants, Medical Oxygen Plants. Gained prominence in the industry as a manufacturer and exporter, we are engaged in offering a commendable range of PSA VPSA Oxygen Plants. For lower purity applications, these plants are an authentic on-site source of low-cost oxygen. Also, ideal for remote locations, these plants are widely demanded across the national and international markets. 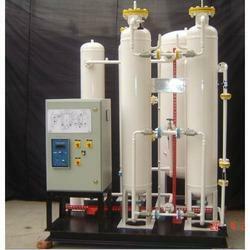 The PSA Oxygen Gas Plants are designed to deliver about 95% pure oxygen. The gas is produced through a technology called PSA technology and similar to nitrogen the oxygen is also separated from compressed air using Zeolite Molecular Sieves of special grade. In some cases a vacuum pump is used for better adsorption hence the units are also known as VPSA units. The capacities of these plants are ranging between 1 to 200 Nm3/hr capacity plants, however if the capacity requirement is larger than a VSA (vacuum swing adsorption) plants are more suitable. 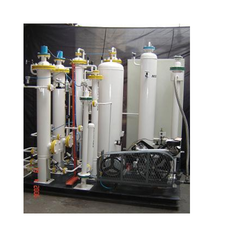 Supported by a team of diligent professionals, we have been able to manufacture and export PSA Oxygen Plants. Our offered plants are designed and developed under the supervision of skilled engineers, who never make any sort of compromise with the quality of the products. Also, the raw material and components used in the manufacturing process is sourced from the reliable vendors of the industry.